Did you know that John L. Street offers help with many additional online resources? Get help with tests, legal forms, cover letters. Even car repair! 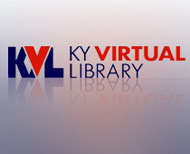 The Kentucky Virtual Library is open 24/7 from anywhere in the world. Research beyond the walls of JLS… in fact, research beyond the sea of questionable information Google offers. Equipped with your JLS Library Card number to check out, you can dig into libraries and authoritative research centers. Kentucky Libraries Unbound. No due dates or late fees. Check out digital music, videos, audio books for your Mac/PC, iPod, Kindle and more. You will need your JLS Library Card number. Looking at a Pricey Genealogy Service? Heritage Quest. Search the census. Find your ancestors. 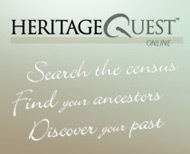 Discover your past at Heritage Quest. You will need your JLS Library Card number. America’s genealogy bank. 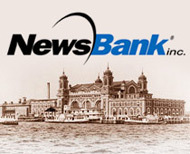 Newsbank. Use your JLS Library card number to search millions of genealogies, obituaries, marriage and birth announcements from 1652 to the present. Browse historical newspapers, books and documents, along with modern obituaries and the Social Security Death Index. Search eSequels by keyword, author, title – even character or location – to find fiction favorites. Login with your JLS Library Card number. The mission behind PeopleSmart is to help inform individuals about online privacy, how it works and what they can do to protect themselves. Head straight to our customized RB Digital offerings. After a quick one-time account set-up, our John L. Street card-carrying members can checkout and download audiobooks and ebooks. (3) Download the app (Android/iOS) and sign in. Practice makes perfect. You’ll be behind the wheel in no time. Practice your driving exams (for free) at Driving-Tests.org. Teens: prep for your permit or license. Seniors: go through a refresher test. Just click… you don’t even need your JLS Library number to get started! It costs you nothing to read comics online with your card number. Read Comics (for free) at Comics Plus. Choose action favorites like Hellboy, D&D, Star Trek, TMNT or the more tame classics like Archie and Jughead or Back to the Future. You won’t have to pay the $16 a month to get the New York Times when you’re a patron of the John L Street Library. Read Issues and Articles (for free, of course) at The New York Times. Don’t pay newsstand price for your favorite magazines. Download your favs to your iOS or Android Device (or PC/Mac). Get an account in minutes.